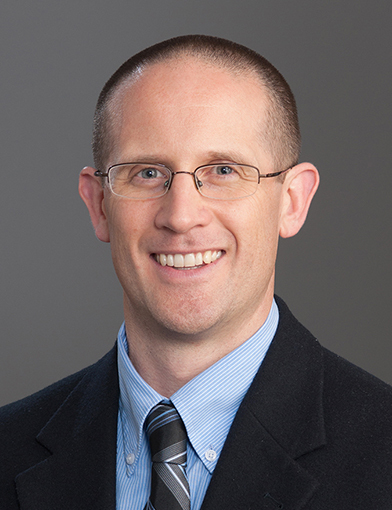 Dr. Chris Miles is a family medicine doctor at Wake Forest Baptist Health. His specialty areas include Sports Medicine. February 27, 20191-10 very good!!! January 18, 2019Already recommended several times! January 11, 2019Miles is terrific! January 6, 2019there are no words to describe this man. Foremost I owe the opportunity to live a long and heathy life because of him. because of his knowledge and dedication to my personal case he found the things that would have cut my life short. (100% fact) I now get to spend years of fun with all my grandkids, life is great!!! November 29, 2018*Dr. Miles is very caring and listens to what I have to say. November 22, 2018Dr. Miles is the best. November 20, 2018I've been an RN for 41 years, an FNP for 22 of those years. Dr. Miles is the most concerned, empathetic and generous provider I've ever seen. He was concerned about something I shared on My Wake Health, and had me come to see him on his Lunch Break. He always goes above and beyond expectations. November 8, 2018I was very impressed with Dr. Miles and the time and attention he gave me during my visit. He was extremely intentional about listening to my concerns and put me at ease about options to get better. I would highly recommend him to others as I felt he was genuinely interested in my well-being. November 8, 2018The care provider did a good job. November 6, 2018Dr. Miles is a great doctor and someone I have extreme confidence in for any of my health questions or problems. October 16, 2018spent ample time with me despite me showing up 5 minutes after the scheduled appt time due to traffic jam on freeway. great doctor. October 8, 2018Dr. Miles and the visiting resident assisting him were thorough, had a plan, and showed concern for my health issues. August 22, 2018Dr.Miles is very knowledgeable, patient and caring. His bedside manner is wonderful. I will definitely see him again if I am in need of a doctor. August 11, 2018Dr Miles and any of his associated staff always listen well, do a thorough exam, and thoughtfully discuss the issues and options. I can't say enough good things about his care and really appreciate his thorough and thoughtful options. He is even collaborating with other physicians about the best care options. July 31, 2018He is kind and compassionate and even asked about my family. July 30, 2018The care provider was very understanding and caring of the procedure that I had to endure. He help me to feel comfortable about a major surgery that I had scheduled for the next business day. July 9, 2018All of my future orthopedic needs will be with Dr. Miles and the staff. May 30, 2018Dr. Miles is an excellent Physician and his compassion is amazing! May 15, 2018Dr. Miles was exceptionally kind and professional, and treated my 12 yr old daughter with respect and as a patient capable of understanding what was happening. Both she and I were very happy with her care! May 14, 2018Dr. Miles is a very approachable and compassionate doctor. He is pro active and listens to concerns and self help suggestions. April 25, 2018Dr. Miles was great! He is extremely compassionate and professional. Jejunal Perforation From Blunt Abdominal Trauma by an End Zone Pylon in a Division I Football Player. Reisig KV, Miles CM. Sports Health. ; 10(6):565-566. Influences of Mental Illness, Current Psychological State, and Concussion History on Baseline Concussion Assessment Performance. Weber ML, Dean JL, Hoffman NL, Broglio SP, McCrea M, McAllister TW, Schmidt JD, , Hoy AR, Hazzard JB, Kelly LA, Ortega JD, Port N, Putukian M, Langford TD, Tierney R, Campbell DE, McGinty G, O'Donnell P, Svoboda SJ, DiFiori JP, Giza CC, Benjamin HJ, Buckley T, Kaminski TW, Clugston JR, Feigenbaum LA, Eckner JT, Guskiewicz K, Mihalik JP, Miles JD, Anderson S, Master CL, Collins M, Kontos AP, Bazarian JJ, Chrisman SPD, Brooks A, Duma S, Bullers CT, Miles CM, Dykhuizen BH. Am J Sports Med. 2018 Jun; 46(7):1742-1751. Reducing barriers to mental health care for student-athletes: An integrated care model. Sudano LE, Collins G, Miles CM. Fam Syst Health. 2017 03; 35(1):77-84. Mental Health Services in NCAA Division I Athletics: A Survey of Head ATCs. Sudano LE, Miles CM. Sports Health. ; 9(3):262-267. A Preliminary Study of the Effectiveness of an Allostatic, Closed-Loop, Acoustic Stimulation Neurotechnology in the Treatment of Athletes with Persisting Post-concussion Symptoms. Tegeler CH, Tegeler CL, Cook JF, Lee SW, Gerdes L, Shaltout HA, Miles CM, Simpson SL. Sports Med Open. 2016 Dec; 2(1):39.